Photo: The airport park and ride is located on Brookes Road – off SH6 behind the new Mitre 10 Mega and Pak’nSave. 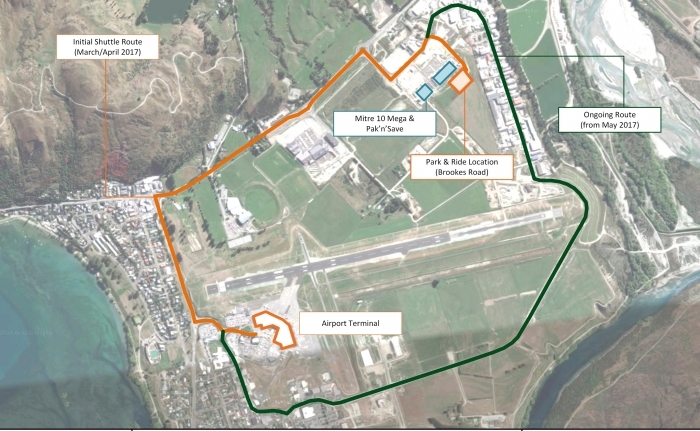 Queenstown, New Zealand, 2016-Dec-28 — /Travel PR News/ — Queenstown Airport Corporation (QAC) has announced plans to establish an airport park and ride offering, expanding the airport’s car parking options and creating an additional 150 parking spaces. If you have a media enquiry, please contact the Queenstown Airport Communications Manager on +64 3 450 9031. This entry was posted in Airlines, Airports, Flights, Travel, Travel Services, Travelers and tagged airport park and ride, Colin Keel, Queenstown Airport Corporation. Bookmark the permalink.